FDA Commissioner Margaret Hamburg To Step Down : The Two-Way The head of the Food and Drug Administration has been on the job for six years and presided over such controversial decisions as relaxing age restrictions on the Plan B contraceptive. 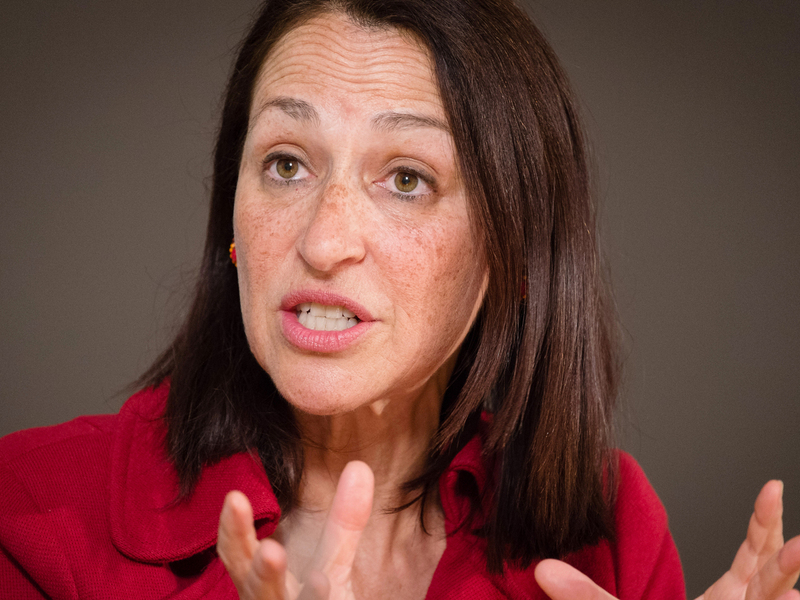 Food and Drug Administration Commissioner Dr. Margaret Hamburg in a photo taken last May. Hamburg, who has been in the top FDA job for nearly six years, will reportedly step down. FDA Commissioner Dr. Margaret A. Hamburg — who has been at the center of controversial decisions such as relaxing age restrictions on the Plan B contraceptive — has decided to step down after six years in the job. In a letter to FDA staff, Hamburg called the tenure "the most rewarding of my career." She cited, among other things, the agency's record in improving food safety, advancing the safety and effectiveness of medical products, reducing the time for pre-market reviews of medical devices as highlights of her six years at the FDA's helm. Hamburg said FDA Chief Scientist Dr. Stephen Ostroff will serve as acting commissioner when she steps down at the end of March. The Wall Street Journal reports that Dr. Robert Califf, who was recently selected by Hamburg to become the agency's deputy commissioner for medical products and tobacco, is regarded as her likely successor for the top job. News reports say the White House will announce Hamburg's departure on Friday. Hamburg, 59, was approved by the Senate in 2009 and is among the longest-serving FDA commissioners the modern era.